Want to create the garden you’ve always dreamed of? 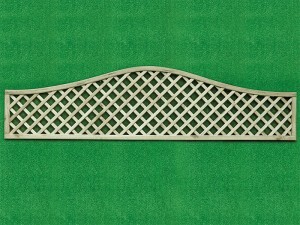 Our range of decorative trellis panels are sure to help! Give climbing plants the support they desire with our attractive trellis designs and create your own little outdoor haven to enjoy. Sure to enhance the appearance of your garden or obscure any unsightly views outside of your garden whilst also offering much sought-after privacy, take a look at our fantastic range below today and see your garden in a new light! 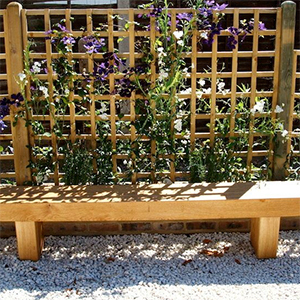 As well as stocking a range of essential gardening supplies such as decking and gates here at Challenge Fencing, we also sell garden furniture and more to add the finishing touch. 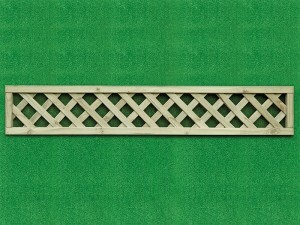 Our affordable trellis panels in a multitude of sizes and designs give every garden owner the opportunity to make the most of their beautiful outdoor environment. We have a range of designs available, such as concave, diamond, convex and more! We even have coloured trellises if you wish to add some vibrancy or like the idea of colour-coordinating your fence. Wherever or whoever you get your garden design inspiration from, look no further than our great value trellis panels to transform your exterior. We have decades of experience supplying gardening supplies and furniture here at Challenge Fencing, so you can entrust us to deliver! If you would like further information on our trellis panel collection, please don’t hesitate to contact us via email or telephone. Our customer service team are available Monday – Saturday to offer their expert help and advice!